Coach it Soccer | Coach with Confidence! 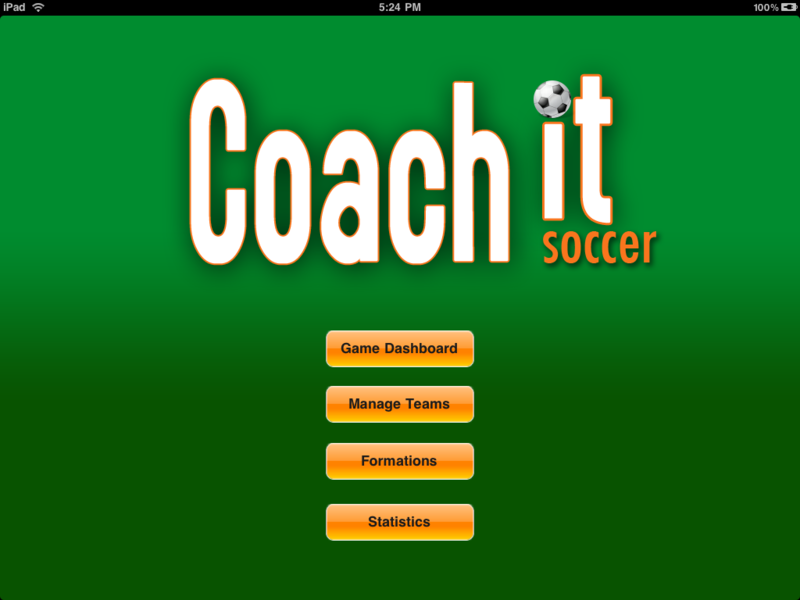 Coach it Soccer for iPad is the first application of its kind to help soccer coaches manage their games and develop their teams. Forget paper lineups and trying to keep them up-to-date during the game! Now, creating lineups and changing them is as easy as dragging your finger across the screen! Statistics input and reporting help you refine skills! Having trouble managing how to sub 5 players at the same time? Substitutions are made simple through a unique drag-and-drop function that will generate a list of substitution players when the time comes. For the Recreational coach, timers keep track of players ‘in’ and ‘out’ times so you don’t have to. No more parental complaints about equal play time. Easy-to-use gametime statistical input will help you decide what areas need to be worked on for next game, as well as whom to currently reward for great performance. 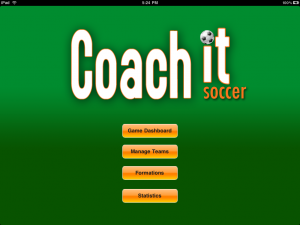 Field tested during the 2010, 2011, and 2012 seasons, Coach it Soccer helps you manage your players so you can concentrate on every minute of the game! Create your own formations or customize existing ones using the drag-and-drop Formations editor. Make substitutions in ‘Real Time’ for quick position switches OR use ‘Delayed Mode’ when planning multiple subs. At substitution time, the sub list shows who’s coming out, who’s going in, and the positions being filled. Create a lineup in seconds and save lineups for future games. Timers: Keep track of player time ‘Out’, player time ‘In’ and the number of times out per player. Timers turn yellow and/or red if player time exceeds user settings. Player Attendance: Tell Coach it Soccer who’s there and who isn’t and the app will automatically replace players on the field. Always have an up-to-date lineup. Simple Click-and-Save statistics for each player during game time. Statistics module tells you who your best players are by stat type (Goal, Shot on Goal, Save, Assist, PK, etc. ), how the team performed as a whole, or how an individual player is doing. We’d love the hear from you!